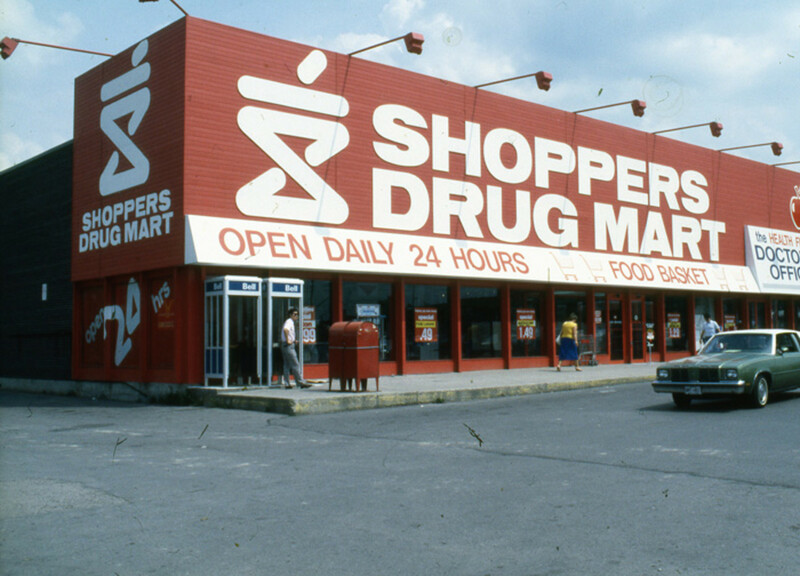 The first Shoppers Drug Mart store opened in 1962. 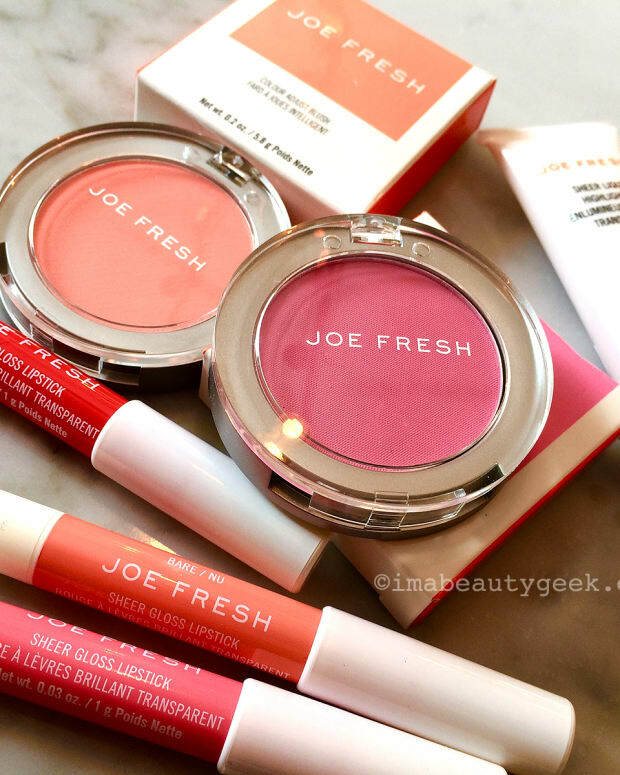 Founded by pharmacist Murray Koffler, it's grown to more than 1,300 stores across Canada. 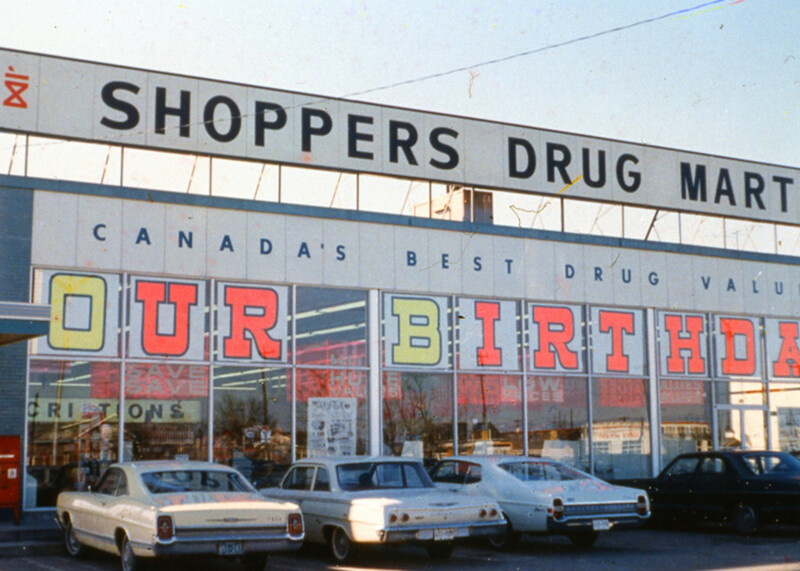 Pharmacist Murray Koffler opened the first Shoppers Drug Mart store in 1962. Today, as Shoppers celebrates its 50th anniversary, there are more than 1,300 stores across Canada. 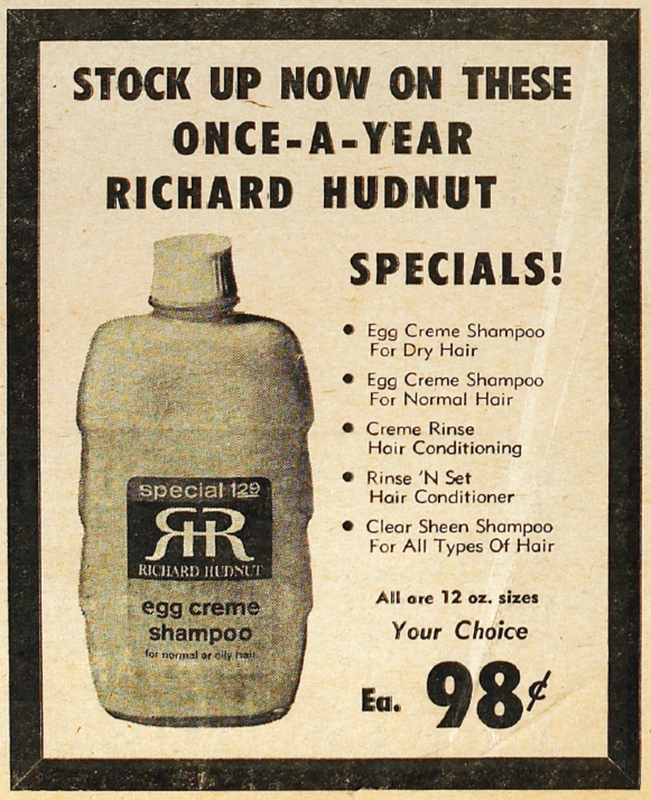 Along with some fun facts, I&apos;m most facinated by the product array and pricing in the following vintage newspaper ads for Shoppers Drug Mart&apos;s beauty-and-grooming stock. Anyone remember when Chanel No. 5 perfume was $5.50 to $45?? Most of the vintage storefront shots I&apos;ve got have no dates. This one above, though, is from 1968, and looks like a sinister scene from a horror film -- yikes! 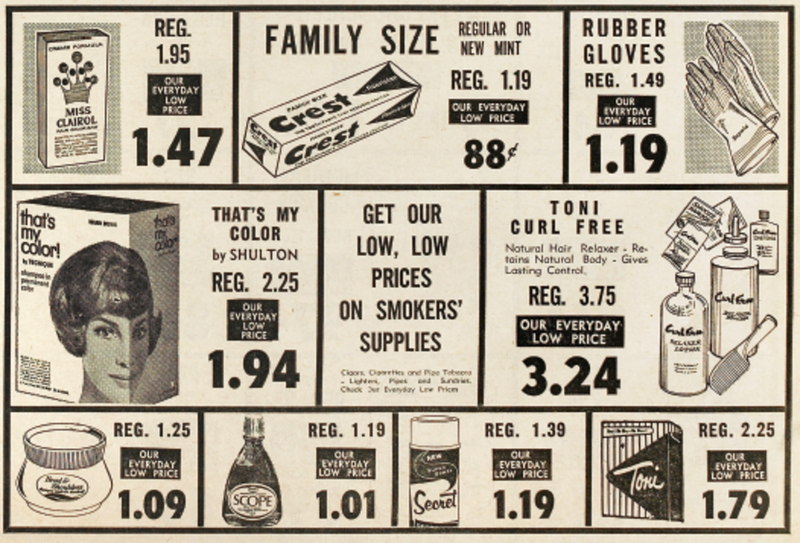 Fun fact: In 1968, the second Shoppers Drug Mart store in Canada opened, in New Brunswick. Wait -- Sunday shopping in â€™68? Fun fact: Today, more than 400 Shoppers locations are open until midnight or are open around the clock. This ad is from a 1966 flyer. 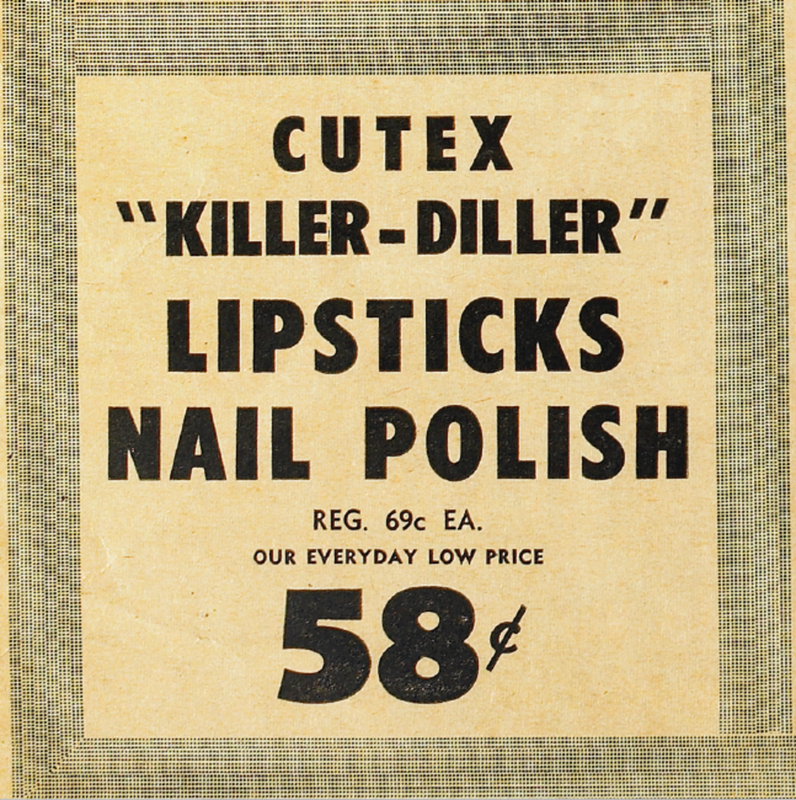 "Killer-Diller"? 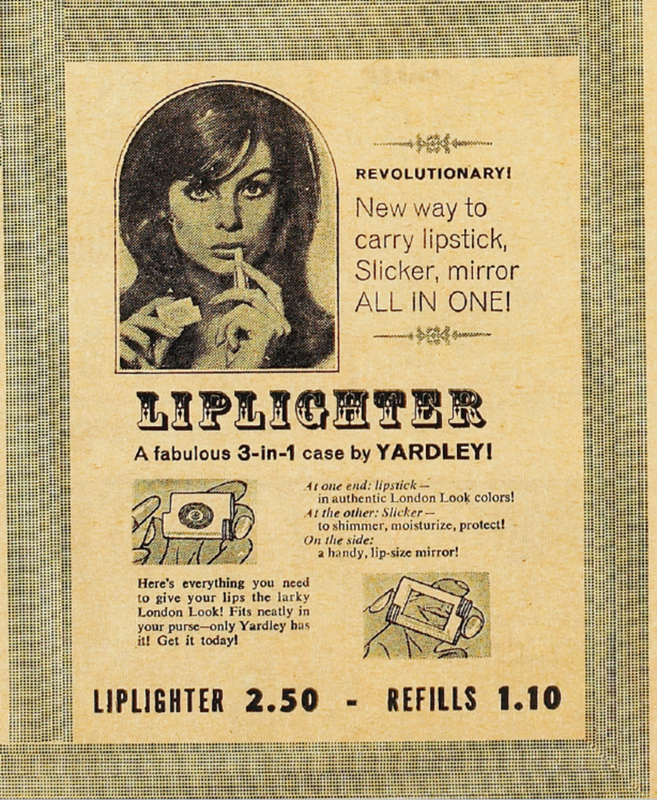 I want a Yardley Liplighter 3-in-1 case with lipstick on one end, shimmery moisturizing stick on the other, with a lip-size mirror on the side! Also 1966. 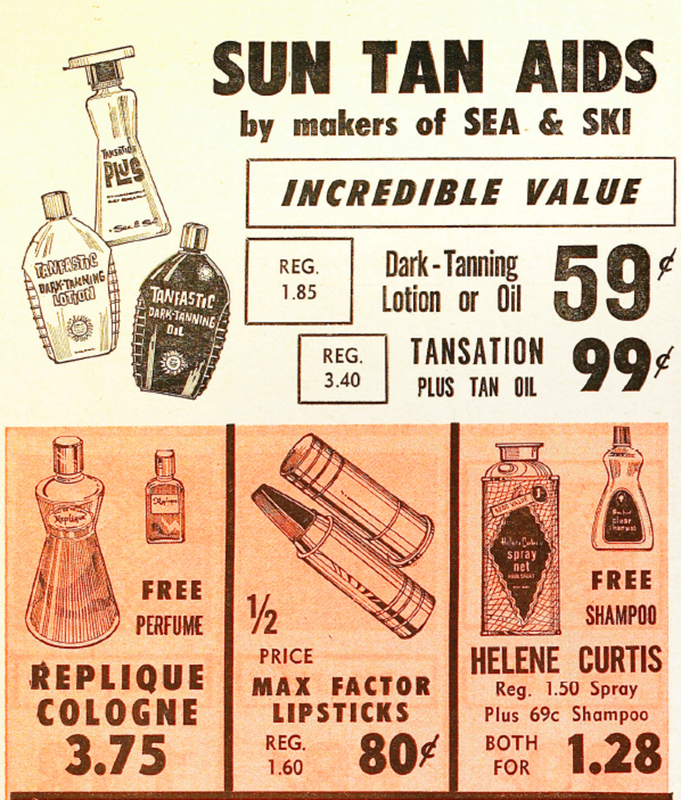 "Sun-tan aids" -- erk! Max Factor lipsticks on sale from $1.60 to 80 cents. And remember Helen Curtis hair products? From another 1966 flyer. Yes. 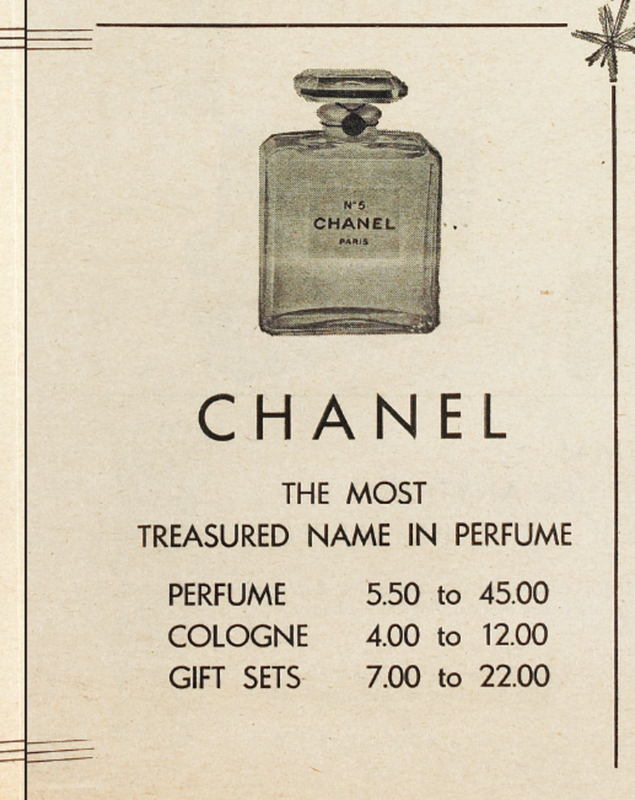 Chanel No.5 from $5.50 for the perfume and up to $22 for a gift set. 1967. Chantilly was launched by French fragrance house Houbigant in 1941. Houbigant dates back to 1775, Rue Faubourg St. HonorÃ© in Paris. Flyer, 1967. 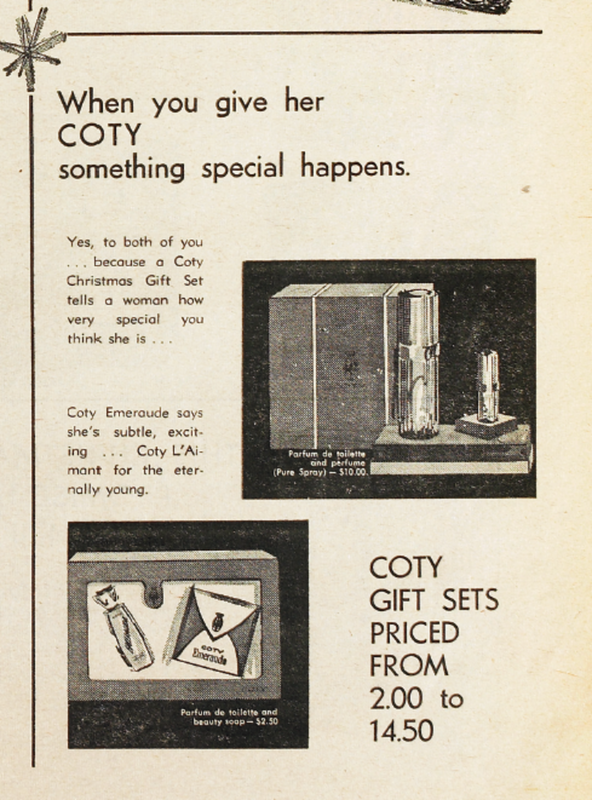 Coty Emeraude and L&apos;Aimant gift sets, 1967. From $2. 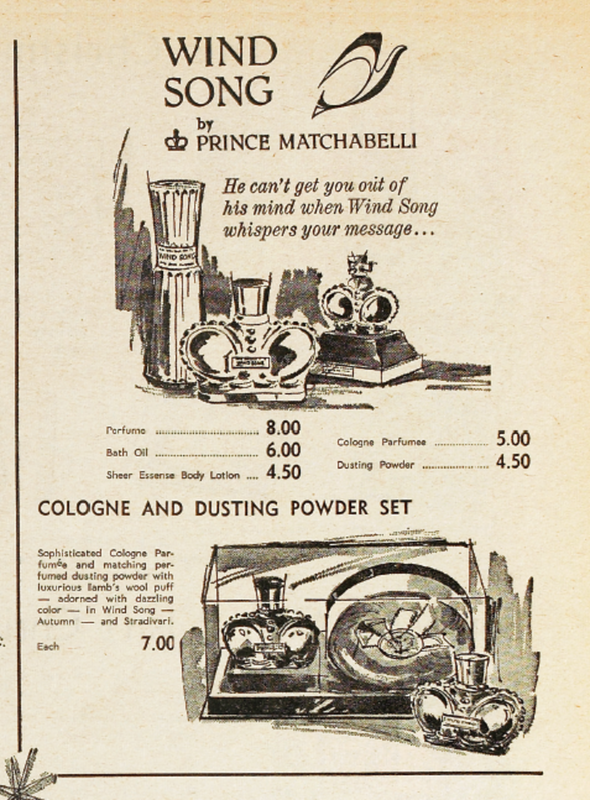 Old Spice was around in 1967, as was FabergÃ© Brut for men (yes, my dad used both when I was growing up). Arpege by Lanvin, a fragrance for her launched in 1927, was around, too. Toni home perms and home relaxers. Whoa. Still 1967. 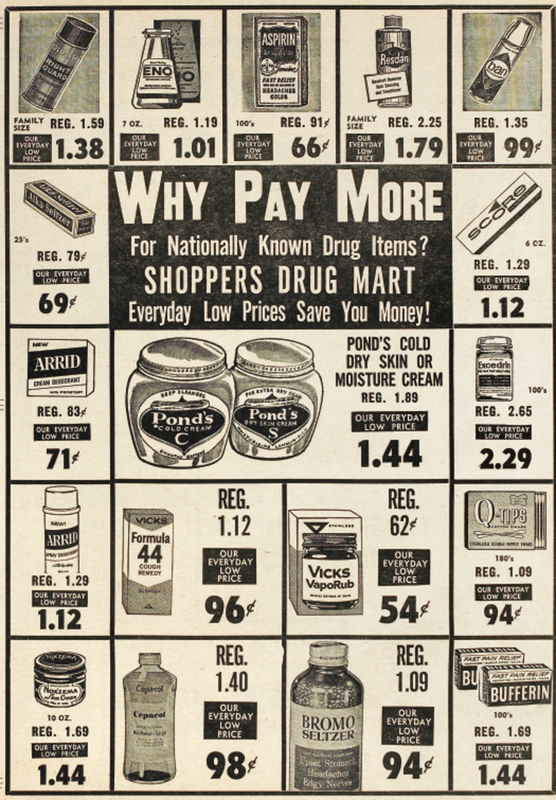 Ponds Cold Cream for $1.44, Noxema for $1.44, Q-Tips for 94 cents.... &apos;67. 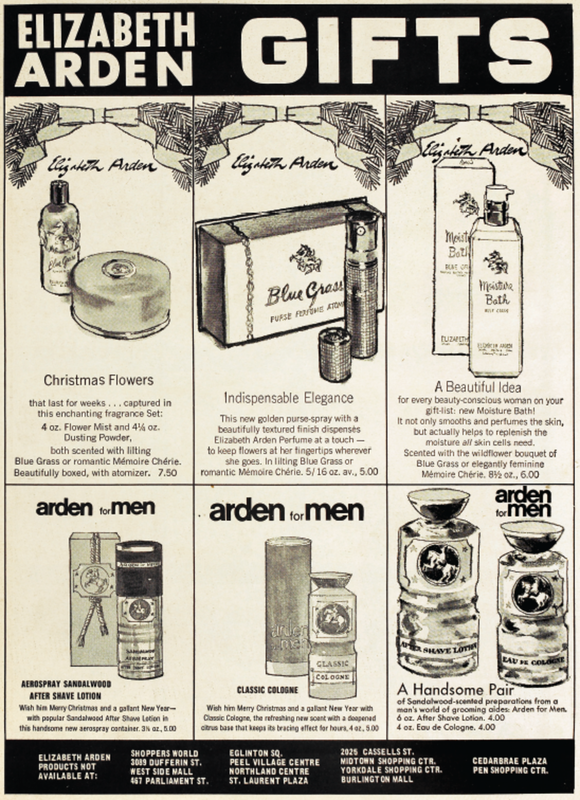 Don&apos;t know the year this flyer was published, but Elizabeth Arden Blue Grass was my first fragrance purchase in the early &apos;80s because my Mum once told me she used to wear it. 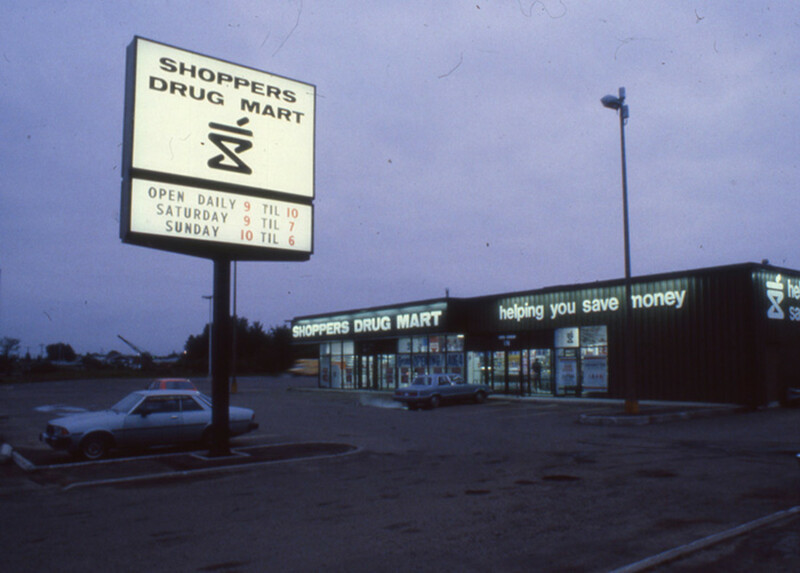 Fun fact: In 1970, Winnipeg, Manitoba, became home to the first Shoppers Drug Mart in Western Canada. 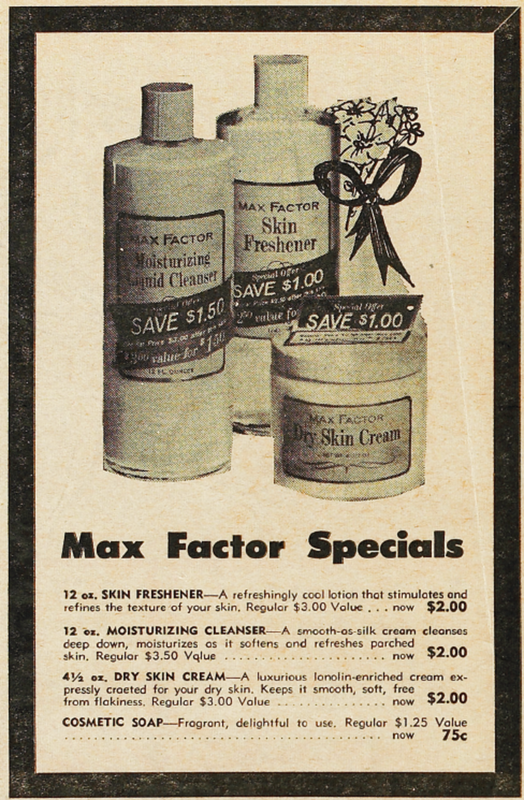 A Max Factor skincare regimen for $6.75, if you got the soap, too. Most of us know from Bonne Bell Lip Smackers. 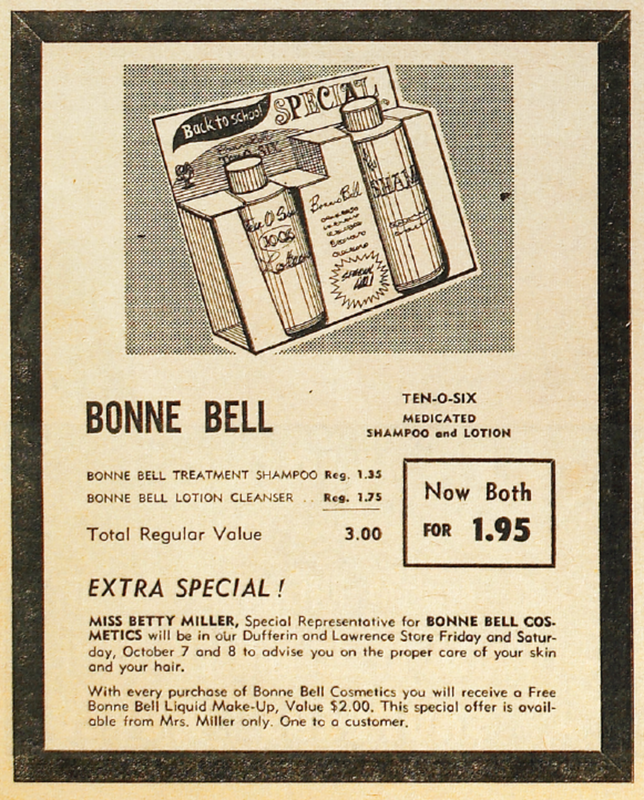 Anyone know from Bonne Bell Ten-O-Six? Fun fact: In 1973, the first Pharmaprix opened in Quebec. There are now 170+ stores in la belle province. Egg Creme haircare? Anyone? Fun fact: Shoppers&apos; founder Murray Koffler started Life Brand in 1962 as well. 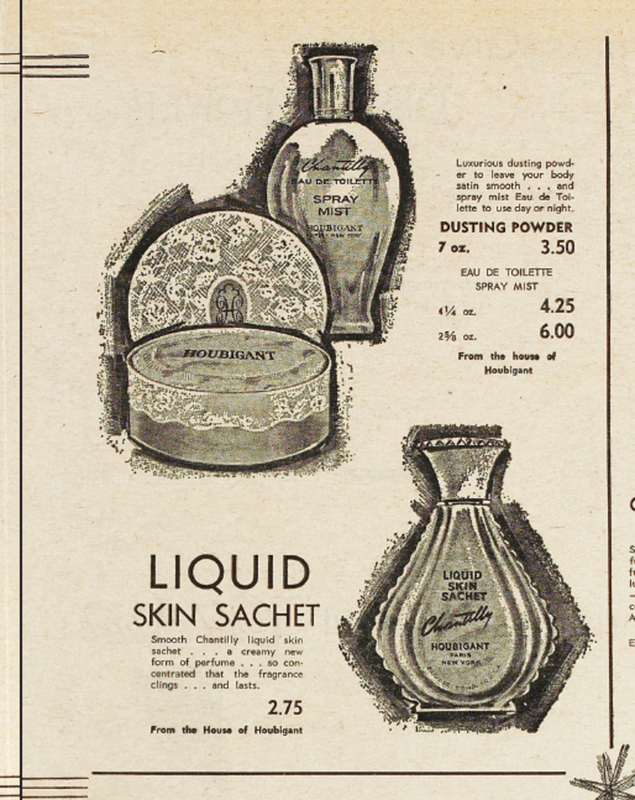 The line started with cologne, after-shave lotion and talc, and quickly expanded to include Koffler&apos;s already-in-stores eponymous private-label cough syrup, ASA and vitamins. 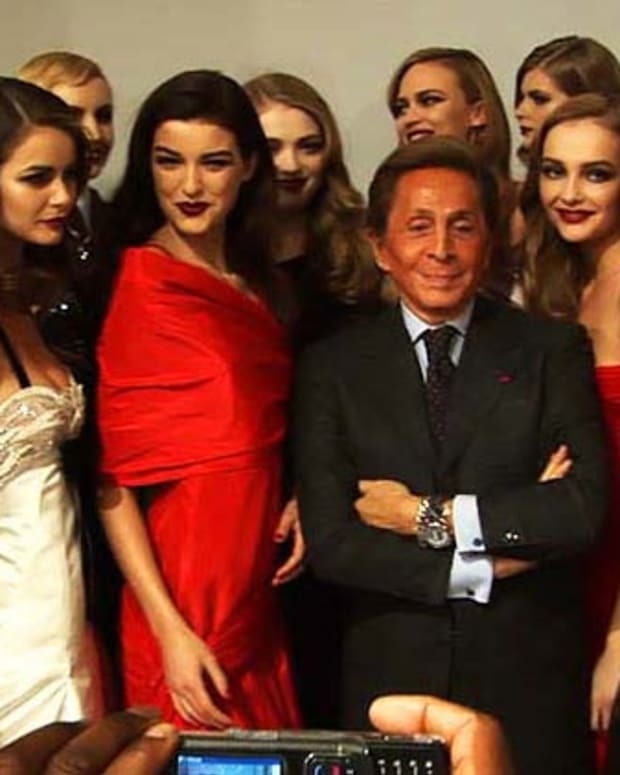 Now Life Brand includes more than 2,000 items. 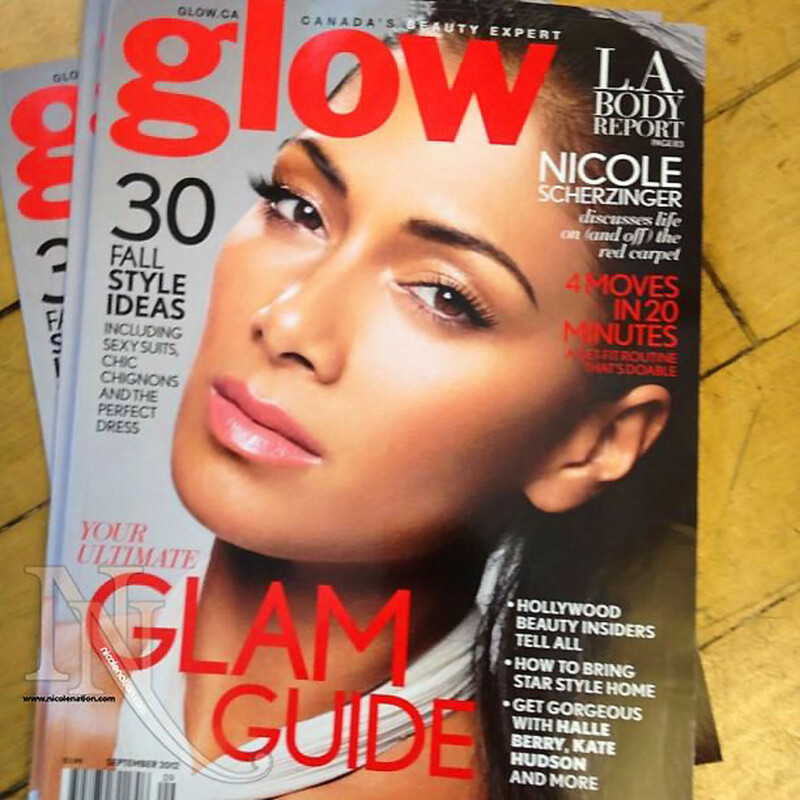 Fun fact: The predecessor of today&apos;s glow Magazine (September 2012 issue, above) was Images, which launched in 1981. Charmaine Gooden was editor-in-chief of the issues I read. Fun facts: Quo Cosmetics entered the beauty marketplace in 1999 (and the Shoppers Optimum card came along in 2000). I love Quo&apos;s brushes; they&apos;re excellent quality at brilliant prices. The 50th Anniversary collection ($50 for 10 brushes), above, is in stores now. 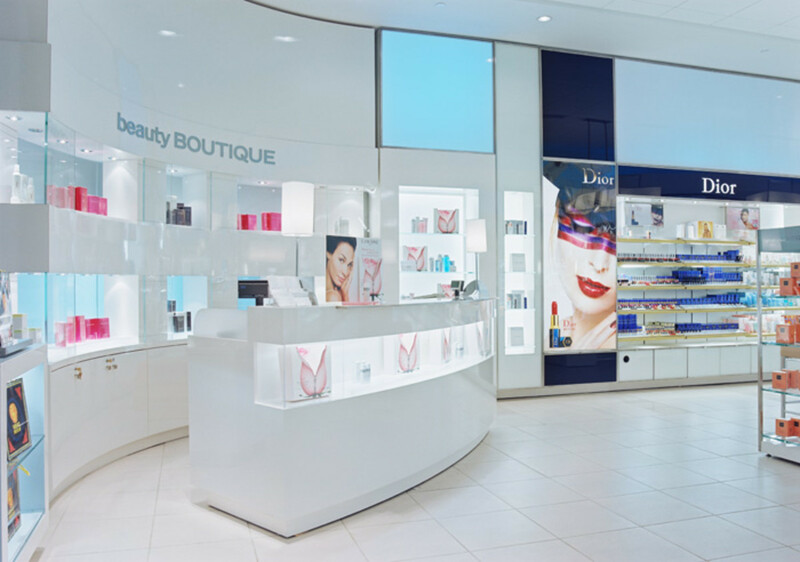 Fun facts: Shoppers Drug Mart Beauty Boutiques started popping up in 2003; there are now about 310 in Canada. Beauty selections include Benefit, Dior, Smashbox, Urban Decay (and, briefly, Make Up For Ever). 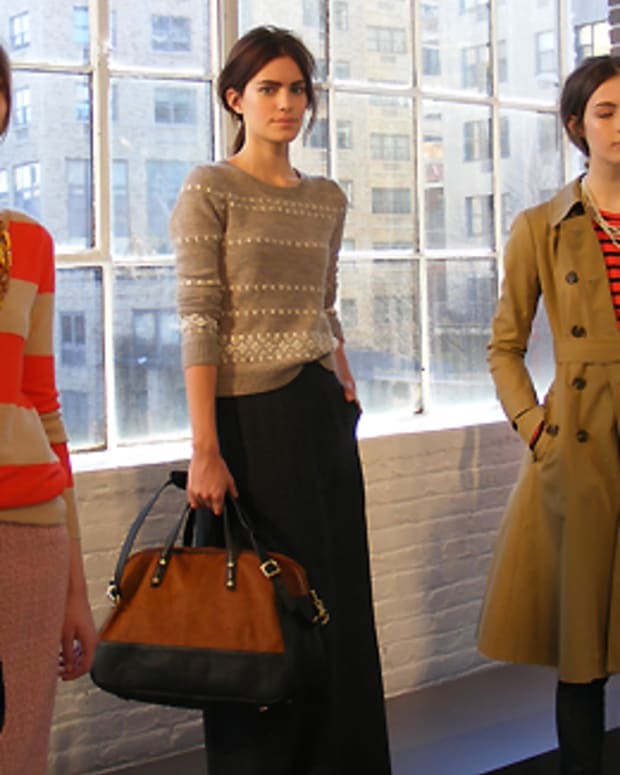 Muraleâ€™s first location opened in 2008, and went e-commerce earlier this year. Brands include Bobbi Brown, Chanel, Guerlain, NARS, Stila, YSL and more. How often do you hit Shoppers Drug Mart for cosmetics, personal-care goods, prescriptions, household products, food items, or Red Bull? National Makeover Weekend - Saturday, September 8 and Sunday, September 9: Receive a complimentary gold-eyes or red-lips makeover at Shoppers Drug Mart and Pharmaprix stores across Canada on September 8 or 9. Participants can book an advance appointment at their local store and choose one of two celebratory beauty looks. For more anniversary details, visit shoppersdrugmart.ca.